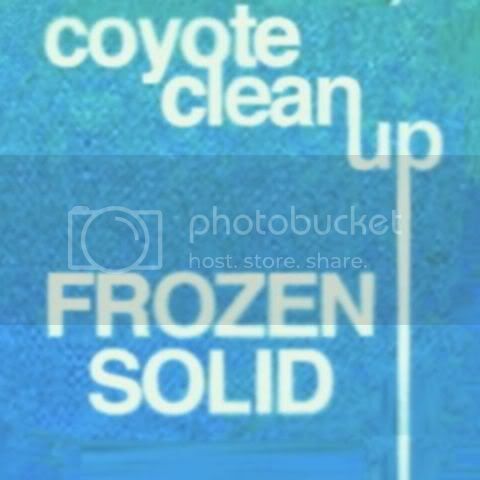 Very excited to premiere a new track by RQ-fave Coyote Clean Up from his new tape on 100% Silk Frozen Solid. CCU aka. icecoldchrissy has been emitting a steady stream of woozy underworld club hits on his soundcloud for the last couple of years now and this tape, which is his first proper release, feels like a culmination of all that. Definitely one of my favourite releases of the year so far, Frozen Solid is a treble-laced, tape-distorted sideways glance at Detroit techno from someone who has been peripherally involved its world for some time. His dub of 3 Chairs' "Misty City" is the tape's opening track and its clean sounding piano lines and general club atmospherics are suggestive of a more streamlined future sound. Frozen Solid is out today and is available on cassette and digitally from 100% Silk.